I made a rainbow on the water color paper with the Distress Inks and misted it heavily with Perfect Pearls. I then let it run together. 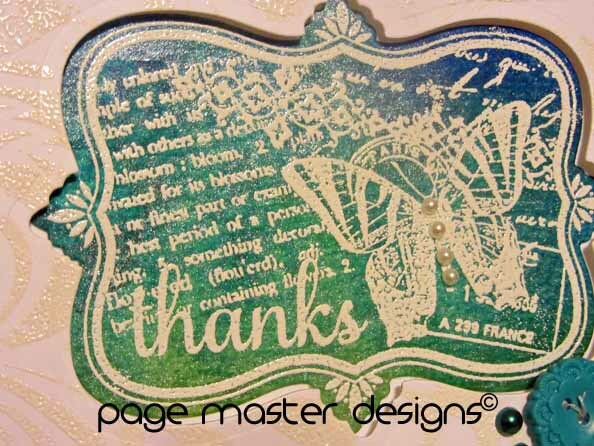 I stamped on it with Colorbox White Frost when it was dry and then heat embossed with white embossing powder. I could have used just Versamark with the white embossing powder but I really love the bright white I get with the white on white. I also stamped the background in white and then heat embossed it in white.